Now, this goes against everything I feel about microwave cooking being inferior to 'proper' boiling, steaming and roasting, but there is one thing I always cook in the microwave because the taste and texture are just so much better, every time. I don't know why, but they never seem to taste the same when boiled, so unless they're going in a stir fry or similar, they are always microwaved in our house. My absolute, desert island, can't-live-without food is peas. I think it comes from sitting in the garden with my Granddad picking and podding peas fresh from his vegetable patch, then cooking them inside with my Nanny for tea. I've never let go of this love, or memory, and I've never let go of peas either! So this dish is a really, very simple side dish that I occasionally whip up as a late night winter snack when it's cold outside and warm and cosy inside. It is truly just delectable! 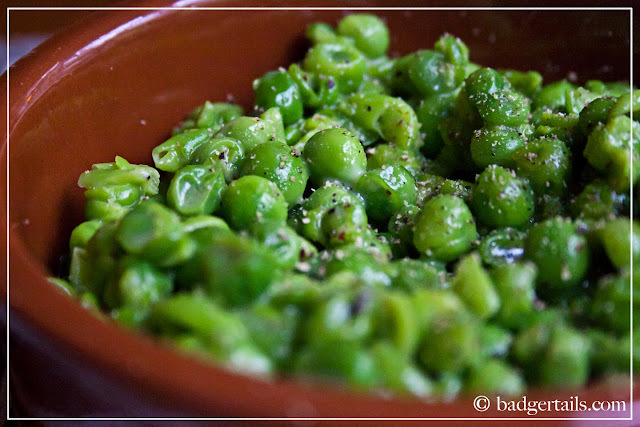 Put your peas into a microwavable bowl (I prefer a measuring jug to prevent boiling over) and pour on the cold water. Cover and microwave on high for 4-6 minutes, or until peas are vibrant and slightly wrinkly. Drain the water out of the jug and add in the butter, cheese, salt and pepper, then mix completely with a fork. 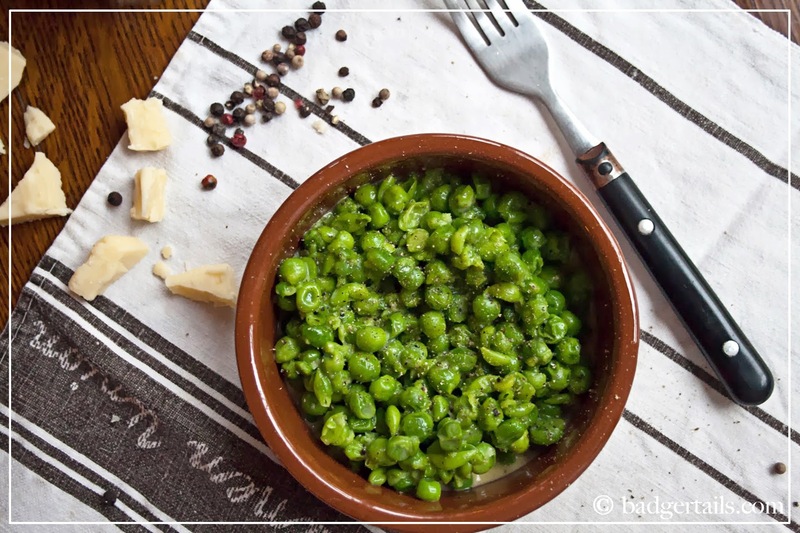 Transfer peas into a dish to serve. Simple as that! These are so good, and wonderfully indulgent on chilly winter evenings. Serve as a side dish to liven up any meat or fish, and they're also fab with mashed potatoes.